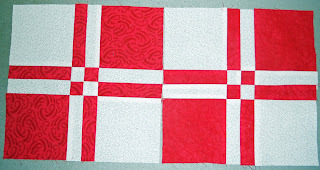 Here are two blocks – I have more red fabrics ready to make more but with Shop Hop starting tomorrow I am not sure when I will get them done. 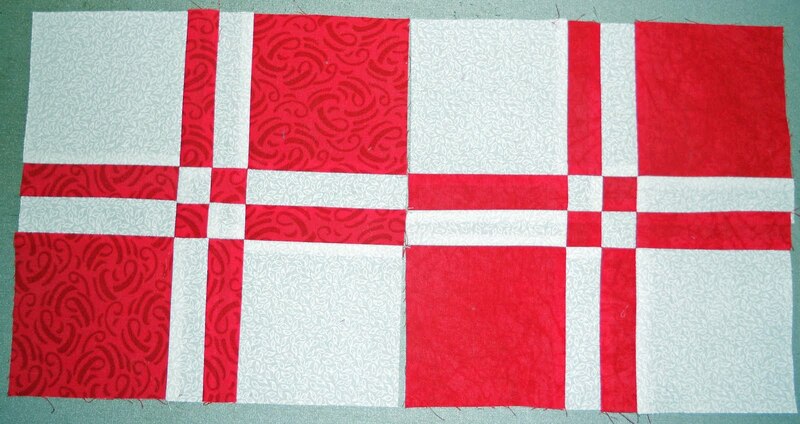 I saw the cute needle cases you were making for the shop hop on your blog. I hope it will be fun for you and … you won't be too tired to make a few more blocks (if that's what you want to do).